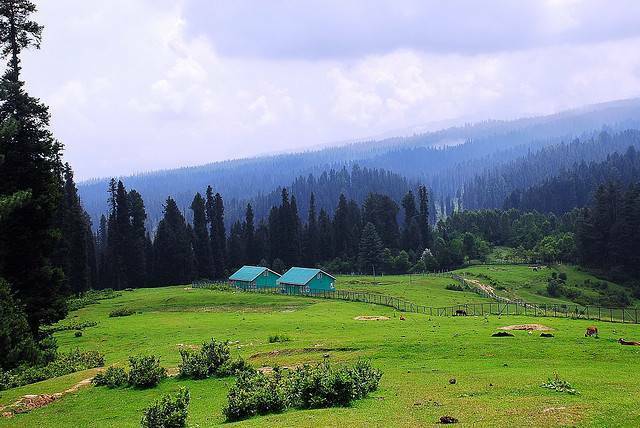 Yusmarg or Yousmarg is a hill station located outside of but easily commutable from the main town of Srinagar. The name Yousmarg means field of Jesus. It’s said that prophets of Jesus came to this place looking for his burial ground. The name has stuck, no doubt aided by the divine surroundings. There’s a mixture of mountains, streams, lakes and meadows. A beautiful backdrop for all the activities, horse riding, walking, skiing, rafting, which take place in the valley. Its photogenic enchanting surroundings make it a popular spot all year around.